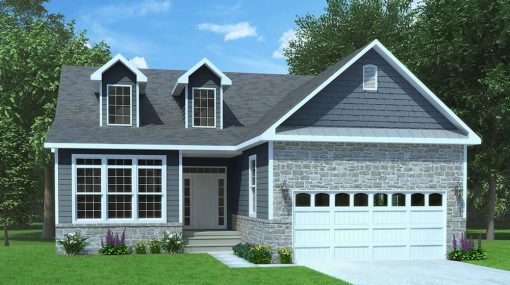 Modern cape cod style home featuring an open main living area and first floor Owner’s bedroom. 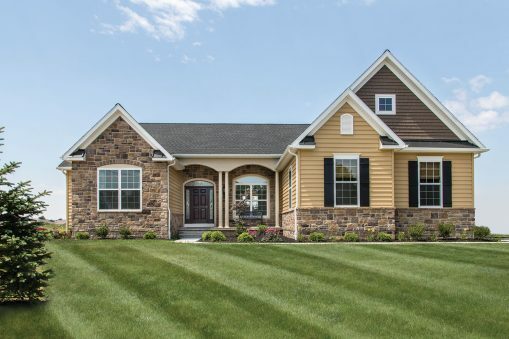 This beautiful home is situated on a 1/3 acre home-site with mature trees bordering the property and sits just outside of our beautiful Whispering Run Community. With over 2,000 sq. ft. of living space this home has 3 bedrooms, 2.5 baths, spacious kitchen with large island, granite countertops, stainless appliances, separate dining room, 1st floor laundry, upgraded flooring throughout, large walk-in closet in Owner’s bedroom, double sinks & 5′ shower in Owner’s bath, full unfinished basement with walk-out offering future opportunities for more living space. A must see! 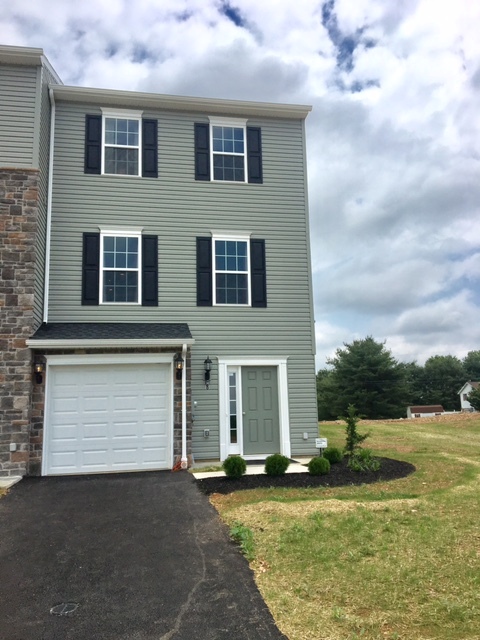 Contact Michelle Manahan at 717-357-0806 or stop by the Whispering Run model home to view this home. 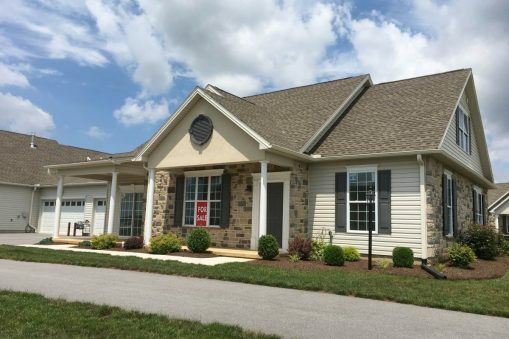 At Morgan Run, you’ll enjoy the countless amenities that are within as little as 1 mile, yet still get away from it all. Truly the best of both worlds and your gateway to making the home of your dreams come true. 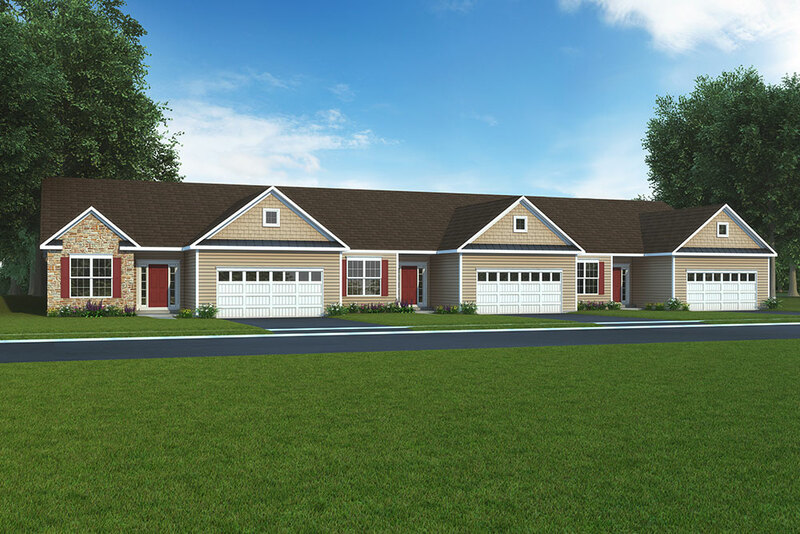 This ‘Olivia’ model home is currently under construction on Lot 3 (1.6 acres) here at Morgan Run. It is over 2000 square feet and has an upstairs ‘Bonus Room’ that will be finished. On the first floor will be everything you need: Owner’s Suite plus 2 bedrooms, 2 full baths (one is the Owner’s On-Suite), a mud room from the garage, laundry room with cabinets and a utility tub, a Great Room with tray ceiling and stone propane gas fireplace, a large composite deck off the back, and a Gourmet Kitchen with a Morning Room. Let’s not forget a large 2 car garage and a full unfinished basement. This home has every luxury you could ever want in a private, gorgeous setting on 1.6 acres of cleared land. It will be truly SPECTACULAR ! 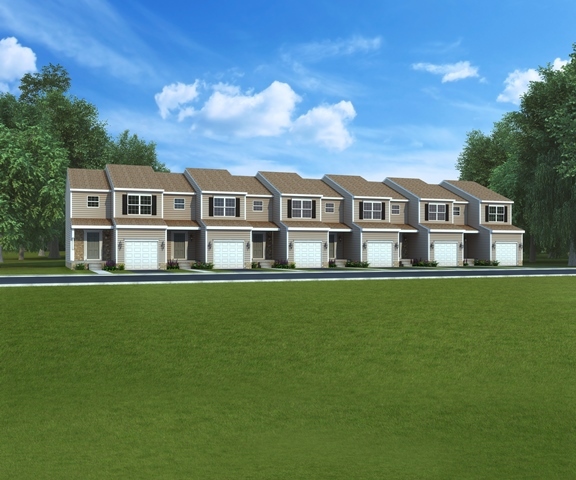 Whether you’re trying to “downsize” or just “starting out”, these lovely South Heights Townhomes might just be the perfect solution. 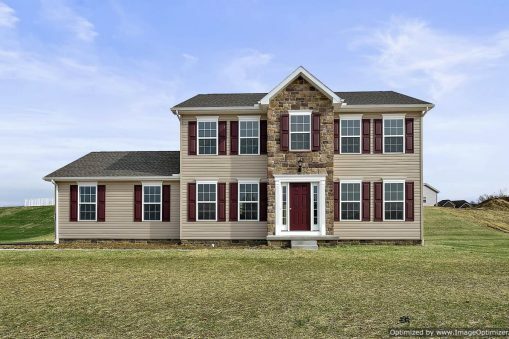 Situated just minutes from Route 15, the location puts you close to all activities and employment. All homes include a country kitchen equipped with recessed lighting, ample pantry, lazy susan, lots of cabinet space and appliance package. Just off the kitchen is the spacious living/dining area with slider to the rear yard. The first floor also has a powder room for guests. Upstairs there is a generous size owner’s suite with walk-in closet and full bath with shower, two guest bedrooms, bath and laundry. There is also an unfinished basement area for future expansion or storage and a one car garage with remote. All types of financing is available, including USDA direct. And, if closing costs are a worry, J. 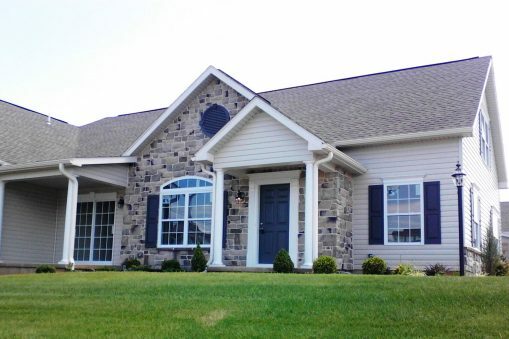 A. Myers Homes is paying 6% towards closing costs for qualified buyers! Don’t you deserve a NEW J. A. Myers Home? I believe you do! 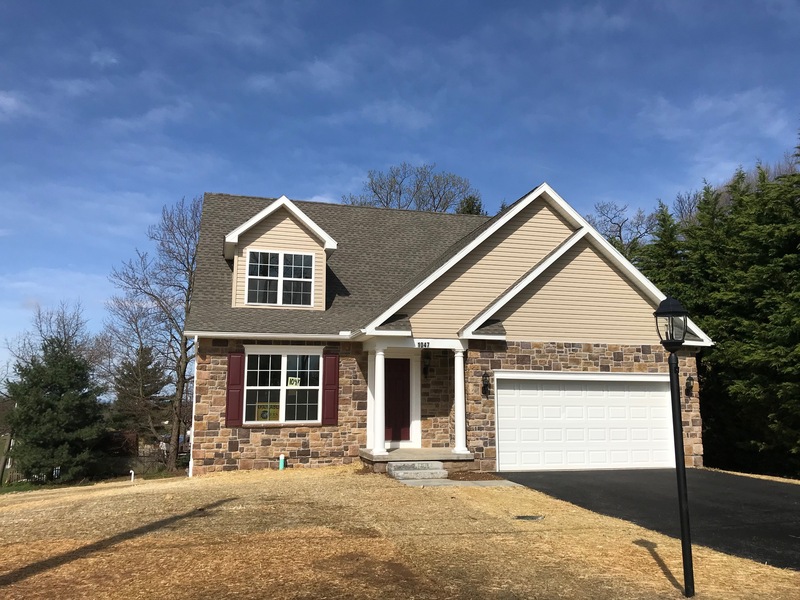 Call Ben Myers at 717-465-5655 and let me make this happen for you. All homes include a country kitchen equipped with recessed lighting, ample pantry, lazy susan, lots of cabinet space and an appliance package. Just off the kitchen is the spacious dining/living area with slider to the rear yard. The first floor also has a powder room for guests. Upstairs there is a generous size owner’s suite with walk-in closet and full bath with shower, two guest bedrooms, bath and laundry. There is also an unfinished basement area for future expansion or storage and a one car garage with remote. All types of financing is available, including USDA direct. And if closing costs are a worry, J. A. Myers Homes is paying 6% towards closing costs for qualified buyers! Don’t you deserve a NEW J. A. Myers Home? I believe you do! 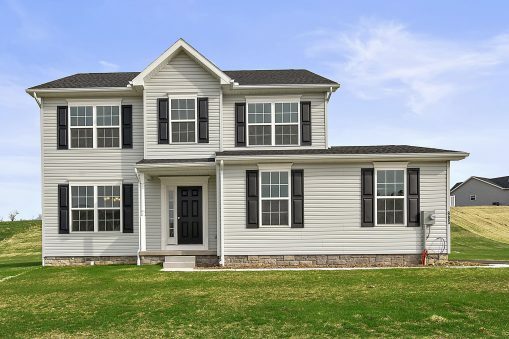 Call Ben Myers at 717-465-5655 and let me make this happen for you. All homes include a country kitchen that is equipped with recessed lighting, ample pantry, a lazy susan, lots of cabinet space and an appliance package. Just off the kitchen is the spacious dining/living area with slider to the rear yard. The first floor also has a powder room for guests. Upstairs there is a generous size owner’s suite with a walk-in closet and full bath with shower, two guest bedrooms, bath and laundry. There is also an unfinished basement area for future expansion or storage and a one car garage with remote. All homes include a country kitchen that is equipped with recessed lighting, ample pantry, a lazy susan, plenty of cabinet space and an appliance package. Just off the kitchen is the spacious dining/living area with slider to the rear yard. The first floor also has a powder room for guests. Upstairs there is a generous size owner’s suite with a walk-in closet and full bath with shower, two guest bedrooms and laundry. There is also an unfinished basement area for future expansion or storage and a one car garage with remote. 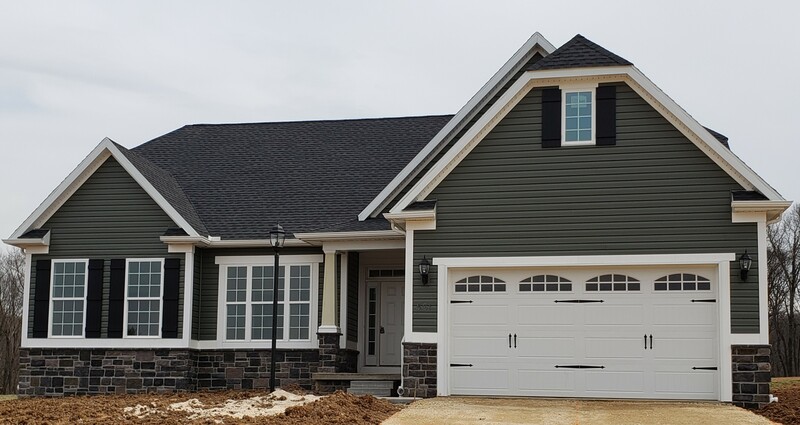 The New Home of Your Dreams Has Already Been Built. Seriously, Check it Out! Relocating? Need a home fast? Don’t want to go through the building process? Good news! J.A. 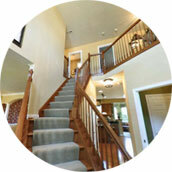 Myers builds several move-in-ready homes in each of their neighborhoods, just for people like you! 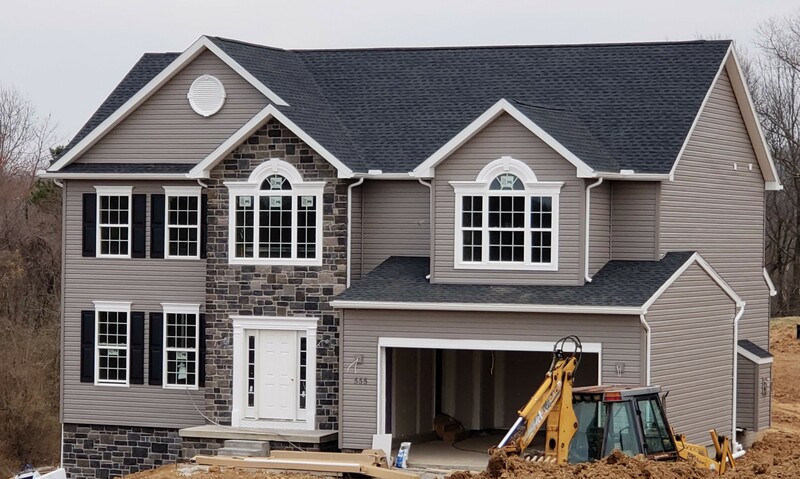 Sometimes these homes are completely finished, while others might be at the stage where you can still choose flooring, countertops, fixtures, landscaping and more! In a hurry? Check with J.A. Myers Homes!